Leading with quality results in value improvement. HealthLeaders Media introduces FirstLook – an all new in-depth, behind-the-curtain video case study that dives deep into how heath system innovators are exceeding their annual operating margin as revenue trends deteriorate. Realizing they needed to improve quality and build scale, Yale New Haven Health System, based in New Haven, CT, drove success-yielding changes within the organization through clinical redesign in each service line. Knowing that 83% of their costs were on the clinical care side, and using data at the patient level with cost accounting and quality variation indicators (QVI™), clinical leaders were able to deploy predictive analytics to determine the biggest opportunities that would dramatically reduce variation and improve care delivery. How? The organization developed QVI methodology, which featured 27 summary categories of negative clinical outcomes. This provided a comprehensive list of avoidable complications and variations the organization could impact. Yale also leveraged its multiyear investment in their common electronic medical record system by building workflow changes for specific patient populations, allowing real-time compliance monitoring at the physician/clinician practitioner level. In addition, Yale used their cost-accounting system at the patient level to measure the cost of variation. This multiyear cost-value program led to achieving a cost-savings of $150 million over a four-year period by eliminating variation and waste. By tapping clinical champions who were passionate about patient care, Yale drove change. This inventive approach disclosed a key discovery: instead of providing more care generating more money, the reverse was actually true: complications and adverse events increased cost and decreased margin. Listen at on your schedule to Yale New Haven Health System executives as they unveil the strategic initiatives that drove them to expansive cost-savings. Yale New Haven Health System, the largest and most comprehensive healthcare system in Connecticut, is recognized for advanced clinical care, quality, service, cost-effectiveness, and commitment to improving the health status of the communities it serves. YNHHS includes three hospitals – Bridgeport, Greenwich and Yale New Haven hospitals, several specialty networks, and Northeast Medical Group, a non-profit medical foundation with several hundred community-based and hospital-employed physicians. www.ynhhs.org. Yale New Haven Hospital (YNHH), part of Yale New Haven Health System, is a nationally recognized, 1,541-bed, not-for-profit hospital serving as the primary teaching hospital for the Yale School of Medicine. 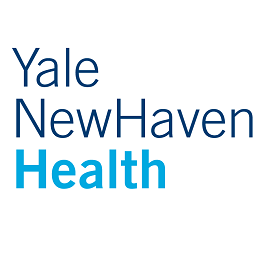 Yale New Haven was founded as the fourth voluntary hospital in the U.S. in 1826, and today, the hospital’s two New Haven-based campuses include Yale New Haven Children's Hospital, Yale New Haven Psychiatric Hospital, and Smilow Cancer Hospital. YNHH has a combined medical staff of about 4,500 university and community physicians practicing in more than 100 specialties. YNHH’s York Street campus and associated ambulatory sites are Magnet-designated by the American Nurses Credentialing Center. www.ynhh.org.